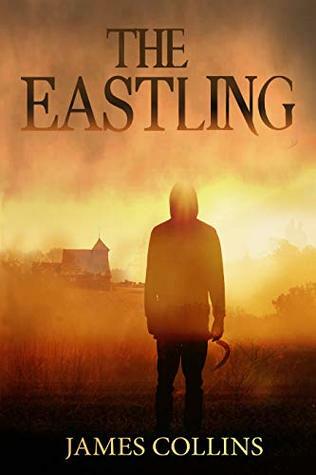 Cover Art: A lone figure standing as a shadow in the mist holding a slitting knife (a sickle). Set against a background of earth tones in oranges and yellows. The church is set back in the distance. Synopsis: The blurb shows a hint of what is going on in the village of Saddling. There is some bullying in the story, but that occurs throughout any history. Plot: This story is based around the Eastling legend in which it appears every one hundred years to claim someone who has done a bad deed. There are some who are trying to solve the mystery which lies within Saddling, while others are making mischief. Barry Cole- farmer and Tom’s partner. Secondary Characters: There are several characters whose interactions feature them as a main character in their own right, characters who enrich the feel of this ancient lore and make the story realistic. Flow/Continuity: There are no breaks in the story and questions posed are answered. Priced: It is priced comparable for a new release in ebook form and as a paperback. Conclusion: As with life, the characters roles change over time. The story captures your attention and holds you in its embrace of knowledge to the end, where you wonder in its truth. The characters and their lives are so intricately woven, it’s impossible to understand where one ends and another begins. This is book three in the following of The Saddling. It is very thorough including dialect and glossary, filled with history and complete with the genealogy of the characters. It contains a very rich language which flows through the series. The history behind this book and the church on the Romney Marshes, filled with friendship, betrayal and the unknown, will make this my yearly story to read. While all of the series is fantastic, this is my favorite yet. Next Book Review: Torn by Mia Kerick … 9 out of 10!